I have been cheated by this AVASoft Professional Antivirus totally. I downloaded it on a blog site accidentally. And then it popped up a window telling me that there are many viruses in my computer. So I clicked the clean virus button to remove it but it asked me to purchase it. But I have another anti-virus. I don’t want this one. Unfortunately, it blocked all programs in my computer running. How can I remove this malware permanently? Many people told me that that is a fake anti-virus. I believe them. 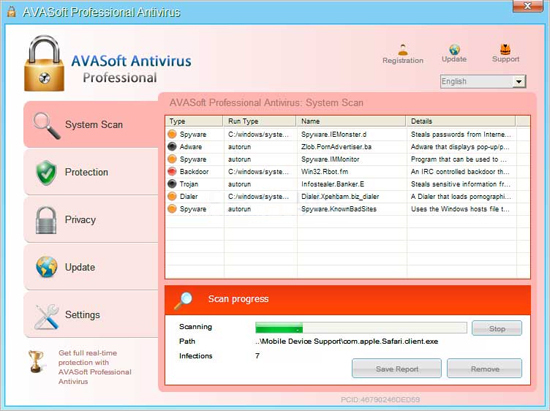 Fake AVASoft Professional Antivirus Occupied Your PC? AVASoft Professional Antivirus, given a name with charm and attraction, have been cheating more and more people. People always get this fake anti-virus infections when they thought this is a real anti-virus software. No matter from what point, you may think it’s a powerful anti-software the first time your got it. In fact, it’s one of those infamous Fake programs. It widely spread all over the world in 2012. AVASoft Professional Antivirus program is classified as a rogue as it displays false information in order to trick you into purchasing the program. The interface of it looks like legit, friendly and helpful. In fact, it absolutely plays a role of villain. Windows Protection malware is a virus indeed which hides on nasty malicious websites or in bundled downloads, camouflaged as fake video codecs or spam email attachments. It prepares to attack PCs anytime once it gets an opportunity. The chance can be one of your careless operation such as a visit to some malicious sites, click a cataleptic video or advertisement link, etc. No matter in which way, it will automatically install in your computer without your notice and permission. In spite of your careless or ignorance, once AVASoft Professional Antivirus is installed in your computer it will be configured to start automatically when Windows starts. Every time you start your computer, it will run as computer internet security software by pretend to scan and kill virus for you. After not a long time, it will pop up a fake scan alert notification claiming that your computer has been infected much virus and your computer is in extremely dangerous condition. If you attempt to use the program to remove these infections, though, it will state that you first need to purchase it before it can do so. This is a scam as the scan results are all fake, and in many cases, the infected files do not even exist in your computer. What is worse, it blocks legitimate Windows applications. 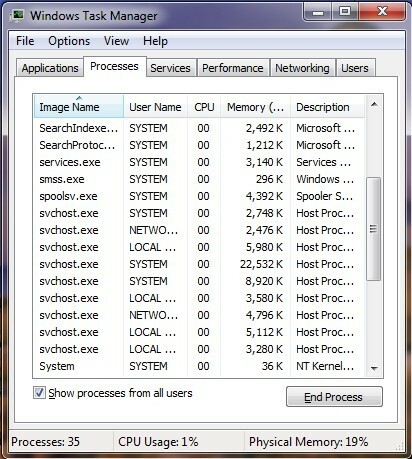 AVASoft Professional Antivirus will also block many of the infected computer’s normal functions, for example, Windows Task Manager and Registry editor. Therefore, please ignore the scan results. Do not waste any of your time with Windows Protection Maintenance, and, most importantly, do not spend any money on its “licensed” version, because this antispyware application is completely fake. Some alert information of AVASoft Professional Antivirus may be like this: Windows System32 (an important folder of Windows system) is infected with “Trojan-PSW.Win32.Antigen.a”. Do you want to register your copy and remove all threats now? If you click “Remove” button to remove this malware you will be redirect to payment site. 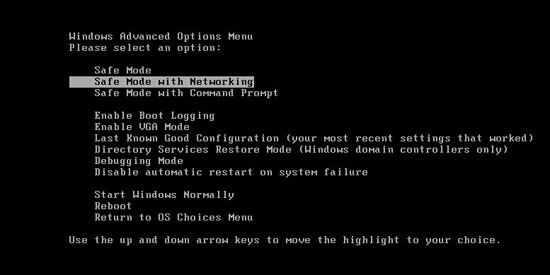 Windows Protection Maintenance is unable to detect and remove any infections, so do not pay for the bogus software; simply ignore all that it will display you. If you enter your banking information as requested, your money will be stolen from these Internet criminal who designed this program to record track of your credit card account. Anyway, it’s not too late to get rid of it now! Cardinal Symptoms of AVASoft Professional Antivirus. A. Your formal anti-virus programs will be replaced by AVASoft Antivirus Firewall Alert. B. It always pops up scanning reports telling you that your computer is in danger. C. You are always persuaded to purchase this fake malware to protect your PC. D. You almost can’t do anything freely with the virus in your computer. It will block formal software running. E. Your computer runs more and more slowly. Step 3: Press Ctrl+Alt+Del keys to open the Task manager to stop the progress of AVASoft Professional Antivirus. Because the name will be changed fast, it will be displayed with different names with random letters. Kindly remind: Don’t think that this notorious AVASoft Professional Antivirus will leave your computer as time goes by. And be aware that this fake malware cannot even provide your PC any protection. What it can give to you is only harm and damage. Don’t waste even a penny on it. When you realize what it is one day, you will be very remorseful. Never believe those so called free software! Don’t download to install those stuffs in your computer. They can not remove the AVASoft Professional Antivirus for you, but bring you much more other virus such as ransomware, scam virus even fake things. You may not be aware that those so called free software can be another cheater, which will make you gain just more loss. Please don’t take a chance to have a try. It’s nonsense. There is no free lunch! If you really can’t remove it yourself, please find an expert for assistance. This is the best choice.